Dressers may seem like one of the more utilitarian pieces of furniture; something of high value and everyday use, yet nonetheless overlooked when it comes to designing an appealing look for your home. The truth is that a new dresser can be just as much of a standout centerpiece as any, much more obvious piece of furniture. We are here to break down the options and sort out the wide array of dresser options for anyone looking to purchase a new model for their home. In addition to below, you can also check out dressers for under $200, repurposed dressers and alternatives to dressers. We start with design, the most important aspect of any dresser. This informs the shape, function, and overall look, and will be the first consideration to make. Next, we look at the handful of different build materials your new dresser may be comprised of. Finally, we peruse a selection of styles with which your new piece of furniture will be finished. This determines exactly how a new dresser may fit in your home and your lifestyle. 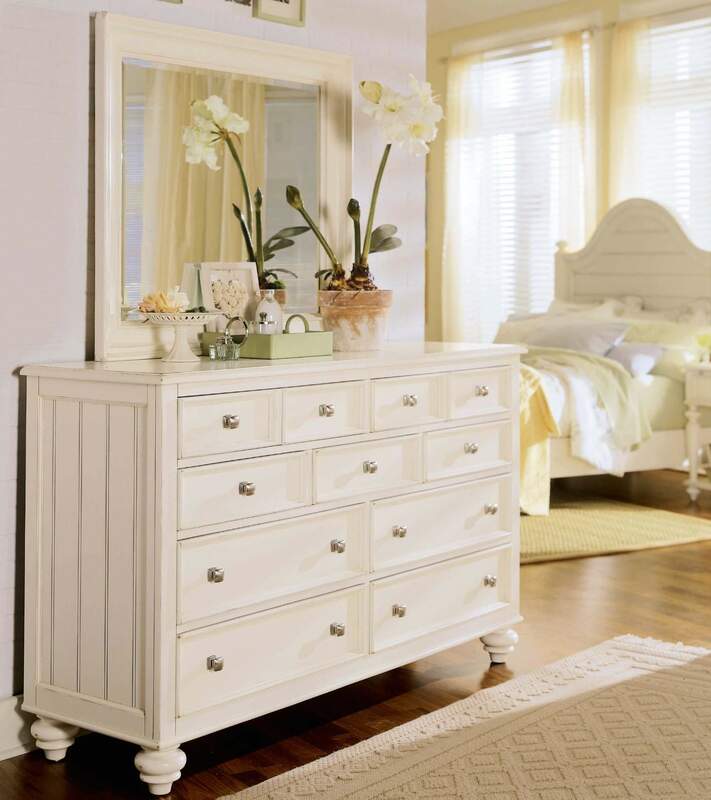 10 Bedroom dresser stores online – where to buy a dresser? The technical dresser definition is a short, wide piece of furniture with multiple drawers in two or more columns with 6 or more drawers. 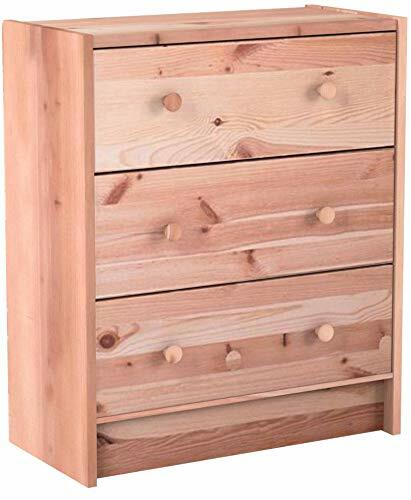 A chest of drawers is a tall, narrow piece of furniture with multiple drawers [Furniture.com]. These days, the two terms are used interchangeably. Our series explaining the different dresser option incorporates both. The first major decision to make when looking for a new dresser for your home is: what design do you want? This will greatly narrow your choices down and provide a clean starting point in your quest. The overall design of a dresser is its most defining feature, giving way to the considerations of build, style, and any other features. Below we classify dressers by design, material, style, size and price. Our guide includes dresser pictures so that you have a visual of each option. With a look centered around timeworn, natural, weather-beaten textures and tones, rustic style is the epitome of old fashioned, homespun furniture. Dressers of this type will use distressed wood, soft metal hardware, and a utilitarian framing. 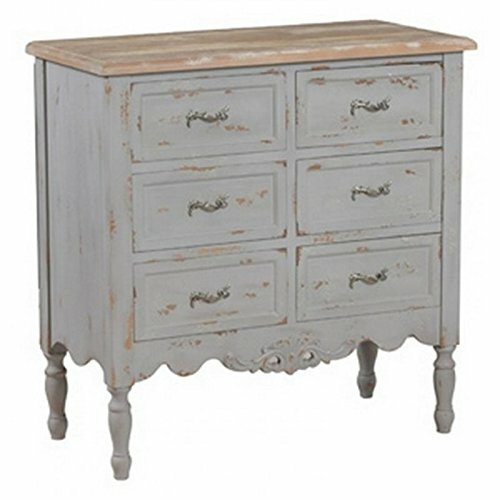 Another popular style, especially for the DIY crowd, is the distressed dresser which intentionally is done to look aged and worn giving it an antique look. Yes, you can actually buy distressed looking dressers and chest of drawers. Below is an example of a new dresser done in the distressed style. Obviously you don’t want such a small dresser that you can’t fit anything in it. It’s a storage furnishing after all. 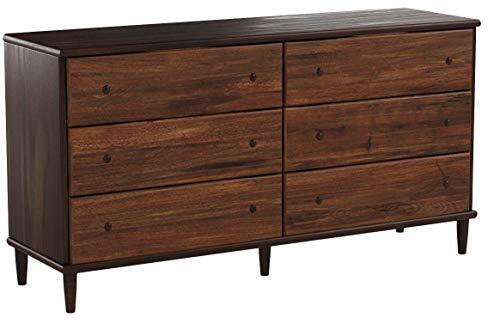 However, among dressers at all prices, including dressers under $200, there are compact options for horizontal (6-drawer), vertical and combo designs. Below is our list of some great small dresser options. See all of our small furniture articles here. 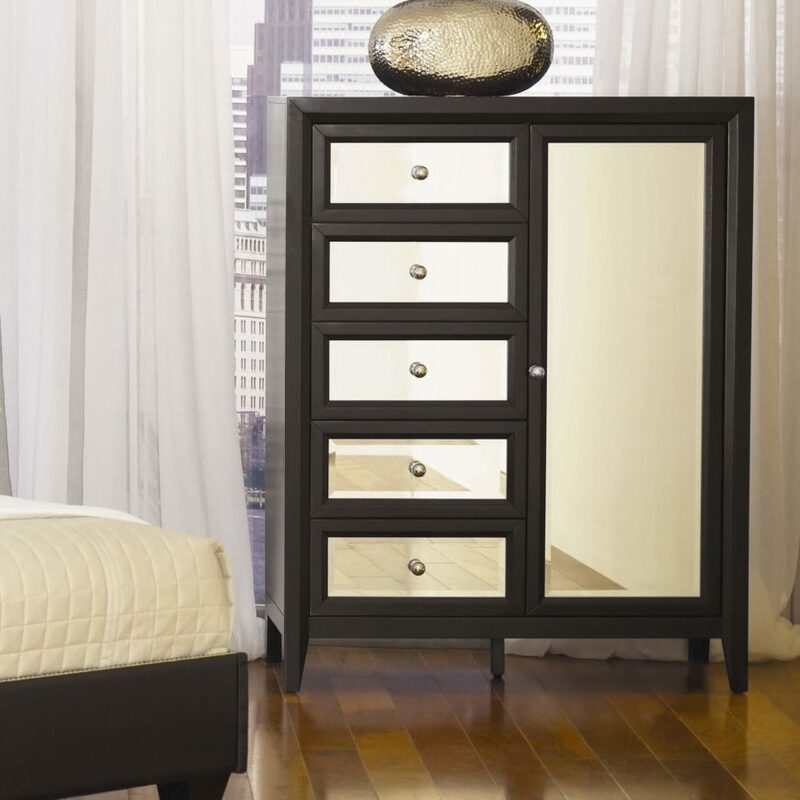 Available in six colors, which range from white through to cherry and black, this dresser should coordinate well with any bedroom décor. 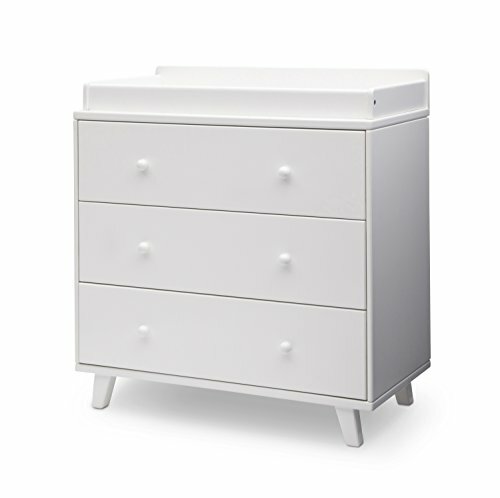 It has a simple design, though the slight upward curve of the top drawers makes it stand out and lends it a touch of class. All told, there are six drawers in which you can store your accessories or your delicates. It’s 18 inches deep, with a length of 50 inches and height of 32.4 inches. It’s also one of the heavier small dressers, as it weighs just over 123 pounds. This is likely due to the combined use of hardwood and steel in its construction. This combination may add to the weight, but it also improves the sturdiness of the dresser. You shouldn’t have any problem putting heavy items, such as a mirror, on top of it. The drawers come out on metal tracks too, so there’s no friction between the wood. An excellent choice for a children’s bedroom, this dresser has a snazzy curved design around the edges. 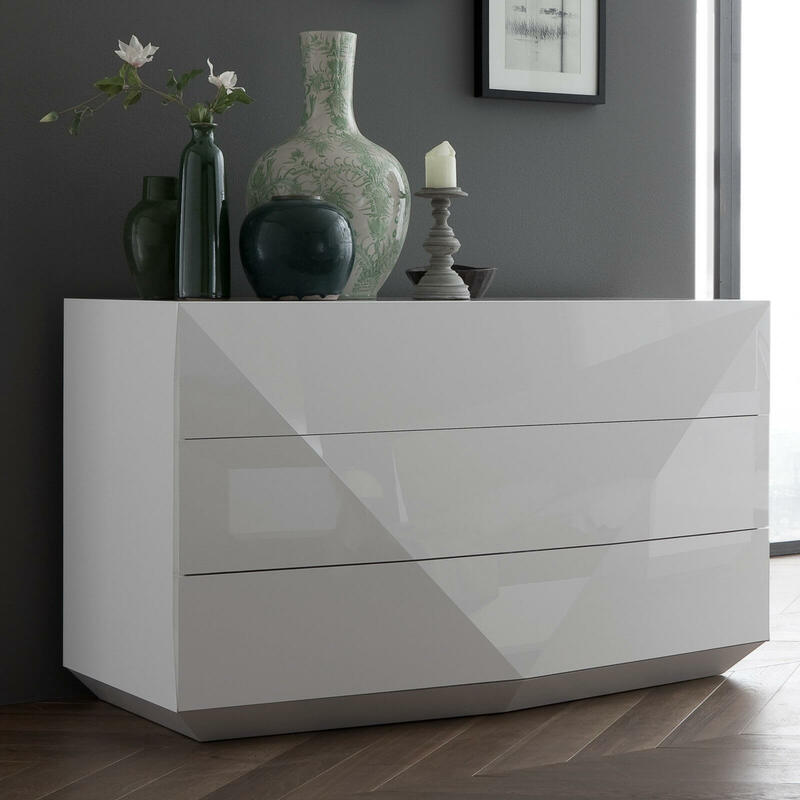 It will stand out in any room, as it blends classical drawer design with a touch of modernity. All told, it has six drawers, which slide out on tracks. Delta uses a mix of wood composites and solid woods in construction. They’ve also put the dresser through rigorous testing to ensure it’s free of toxic materials, and that it meets or exceeds all current ASTM standards. It’s 20.75 inches deep, though the drawers themselves are 19.5 inches deep. As for width, it comes in at 48.5 inches, with a 34.75-inch height. The dresser weighs 109 pounds, making it easy to move around when it’s empty. The outward curve at the bottom of the feet isn’t just a stylistic choice either. It prevents the dresser from tipping forward when pulled, so you can feel safe putting this in a child’s room. Though South Shore call this a natural maple dresser, it’s actually made using engineered wood products. It’s the finish that gives it that natural maple look, rather than the materials themselves. Nevertheless, it certainly looks the part, and there’s no wasted space anywhere on the dresser. It’s one of the larger small dressers, measuring in at 52 inches wide and 32 inches high. Despite that, it only has a depth of 16 inches. Still, you get six drawers, each of which has a sleek metal handle rather than a knob. The warranty makes this dresser stand out, as the drawer gliders come with a lifetime warranty. You also get a five-year warranty on the parts and manufacture, so you’re covered if something goes wrong. The mirror that you can buy with the dresser fits perfectly on top too. Unfortunately, you have to pay more to get your hands on it. Sleek and stylish, this little four-drawer dresser works well as a standalone unit or as a corner piece. While it’s technically a baby dresser, there’s nothing stopping you from using it as a nightstand in your own bedroom. Instead of wood, mDesign uses reinforced fabric for the drawers. It’s tougher than you may think, plus it has enough given in it to allow you to stack a lot of items without the bottoms sagging to the point of breaking. Each drawer also has a fabric outer lining, which protects little heads when clumsy children run into them. It’s one of the narrowest small dressers on the list, with a 12.5-inch width and 37.5-inch height. You could buy two and place them on either side of a horizontal dresser to create an interesting three-piece. The low 15-pound weight and little plastic feet also make it easy to move without leaving scratches behind. 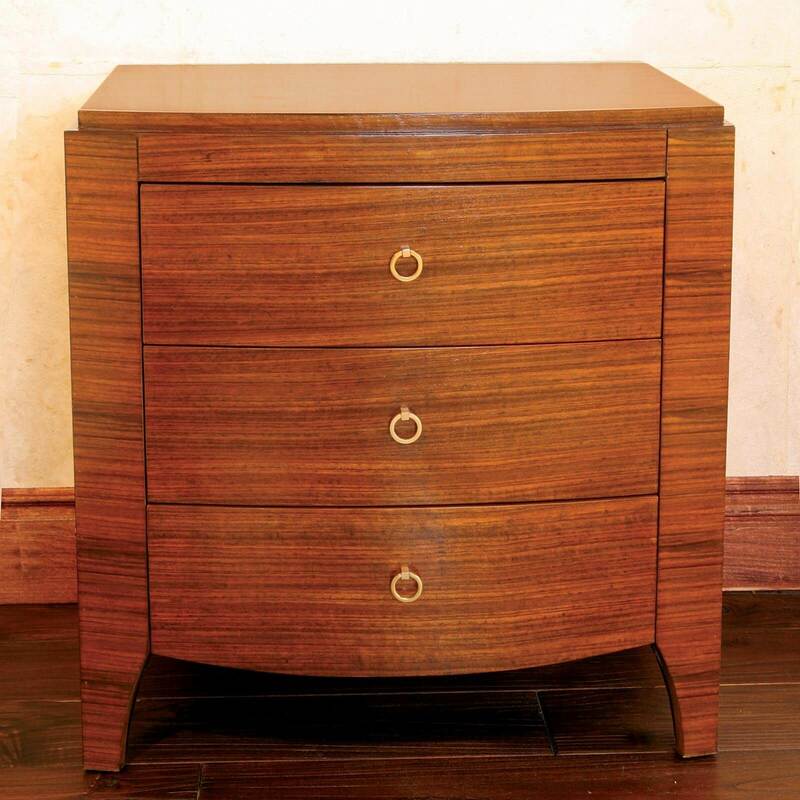 Sporting a classic design, this three-drawer chest will look great when combined with other wooden pieces. You also get a choice of five colors, including white, espresso, and black. As a result, you shouldn’t have any issues matching it up to your bedroom’s color choices. Graco uses a mix of composite and pine wood to provide a solid and stable dresser. Plus, the drawers have steel sliders, which can withstand quite the beating. Importantly, the drawers also have safety stops to prevent them from toppling out onto overenthusiastic kids. It’s practically square, rather than vertical, as it’s 32.68 inches high and 33.74 inches wide, with an 18-inch depth. The dresser weighs almost 75 pounds, but this is still light enough for you to move it easily. Finally, it carries several ASTM certifications. There’s almost an industrial look to this dresser, as the stained wood used for most of it has a solid metal lining running around the edges. It’s a brave design choice and one that may scare off a few traditionalists. 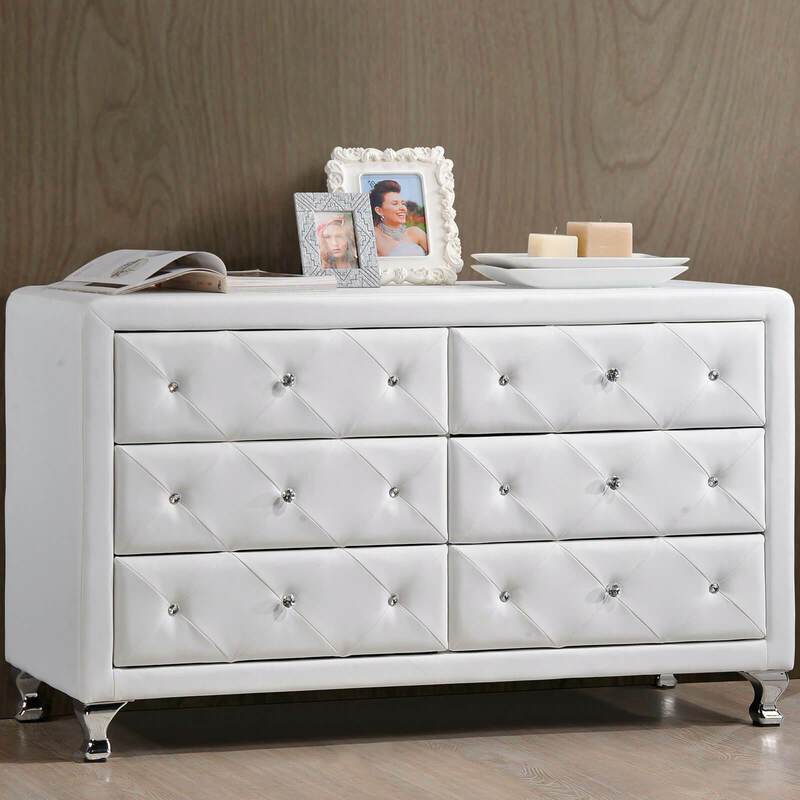 However, it may be perfect for you if you’re looking for small dressers that stand out from the crowd. The large legs bolster the dresser’s 29-inch height. It’s 26 inches across and just over 15 inches deep, so it’s plenty sturdy even if it’s a touch on the thin side. Glendora uses high-quality acacia wood throughout, which has a natural staining that surprisingly complements the iron frame. There are three drawers, each of which has big chunky handles. Assembly isn’t an issue either, as you only have to put the legs in place. Of course, you could choose not to use them, which may prove useful if you want to use the dresser as a nightstand. One of those small dressers that add a touch of contemporary flair to a traditional design, this is a four-drawer piece that looks wonderful in most bedrooms. The front of each drawer stands out. Each has a wooden strip running horizontally through the center, with a pair of small knobs for the drawers. At 109 pounds, it’s fairly easy to move around, plus the legs are sturdy enough to allow twisting and moving if you can’t lift it. The dresser stands over 43 inches high and is 32.6 inches wide. It’s 17.5 inches deep too, though the drawers lose a couple of those inches. 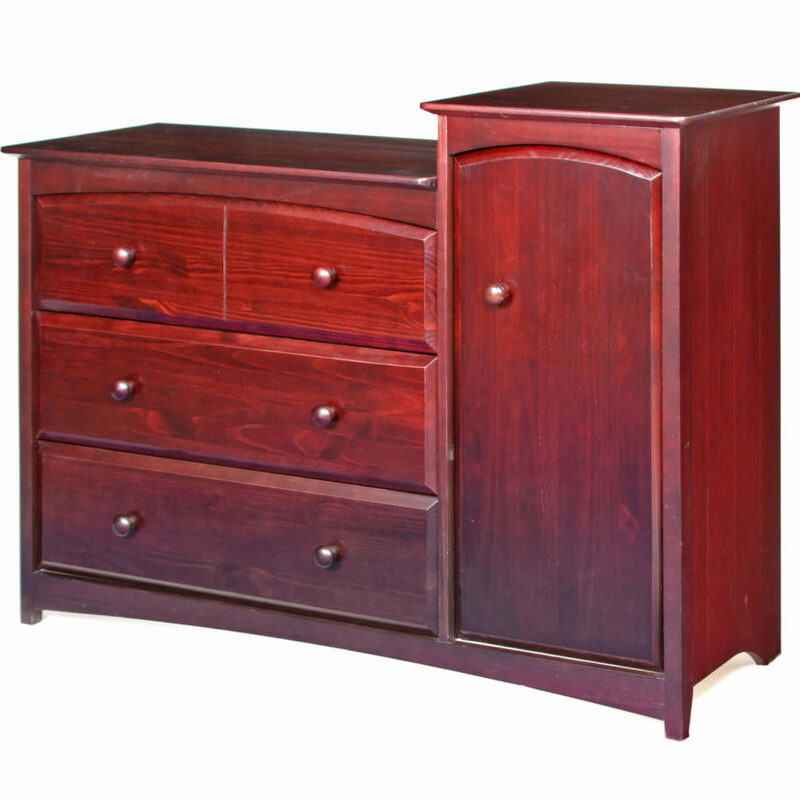 It’s only available in char pine coloring, however, the dresser isn’t made using pine wood. Instead, Dakota uses engineered wood, with a nice little finish on top to make it look like the real thing. The drawers are on runners, but they’re not as good as those you’ll find in other small dressers. They have a tendency to stick after extended use. Available in both white and cherry red, this combo dresser keeps things nice and simple. There are three drawers on the left side, with a small cupboard built into the left portion. You’ll also notice that the top drawer is a touch thinner than the other two, so it loses a couple of points for lack of symmetry. Though it’s only 83 pounds, moving it is still a two-person job as dragging it may scratch wooden floors. Overall, it measures 44.8 inches wide by 29.9 inches tall. The use of manufactured wood gives it a more modern look, while the laminate that coats it makes the dresser easy to wipe down. Having said that, the dresser carries PEFC certification, so it’s great for environmentally-conscious people. All of the wood comes from sustainable sources, plus it carries ASTM certification too. A beautifully designed vertical combo dresser, this has a small wardrobe, two drawers, and a couple of shelves. This provides you with some more decorative opportunities, or you could use the shelves as a mini bookcase. It comes in pure white, but there are three other colors available if you’re willing to shell out a little more. You can move the two shelves around too, offering you plenty of choice in how you use this handy storage solution. It stands at 48.75 inches high, 33 inches wide, and is almost 19 inches deep. It’s also a touch on the heavy side as small dressers go, weighing in at 109 pounds. The dresser requires some assembly, but you should find it quite easy to work with the laminated manufactured wood. There’s also a five-year product warranty, which improves confidence in the build quality. Despite coming in at the pricier end of the small dresser spectrum, South Shore keeps things simple with the design. It has five drawers running down the left, with a large cupboard space on the right. Each has a small metal knob, adding to the minimalist design choice. You do get a choice of colors, though the soft grey costs more than the others. However, you’ll see where the extra money went when you open up the cupboard. It contains four shelves, so you don’t have to stack items on top of each other and a couple of handy coat hangers on the door. South Shore has also catered for the TV enthusiasts among you. There’s a small hole through which you can easily slot wires, plus the top of the dresser can hold a 50-inch TV with a maximum weight of 185 pounds. The dresser itself weighs 150 pounds and stands 48.75 inches tall by 47 inches wide. This six-drawer dresser has a classic style and a lot of function due to the oversized drawers and easy access that you will enjoy. It has a modern silhouette that will look great in any bedroom, and the round pull knobs and clean lines give it a timeless look that never goes out of style. With each drawer operating on plastic glides, using this dresser is silent and easy. The large top is ideal for displaying any knick-knacks that you may have, a jewelry chest, or even a potted plant and clock. 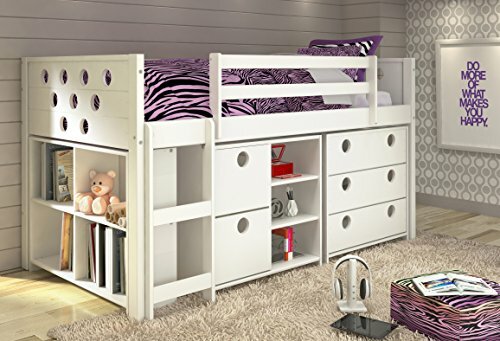 It’s been designed to fit in all kinds of bedrooms, from child rooms to adult rooms, and still have enough space that you can easily store your items without having to cram them in. It is available in a number of colors. It’s easy to switch out the knobs for another style. Some buyers report that it breaks easily or arrives scratched. This large dresser is 56 inches wide, giving users plenty of room to store clothes, towels, and extra sheets in the bedroom. Because of its generous size, it’s a great choice for couples who only have room for one dresser or for a children’s room where the kids share storage. It’s made of a combination of pine veneers and solid pine, and the top drawers are lined with felt for a luxurious feel. 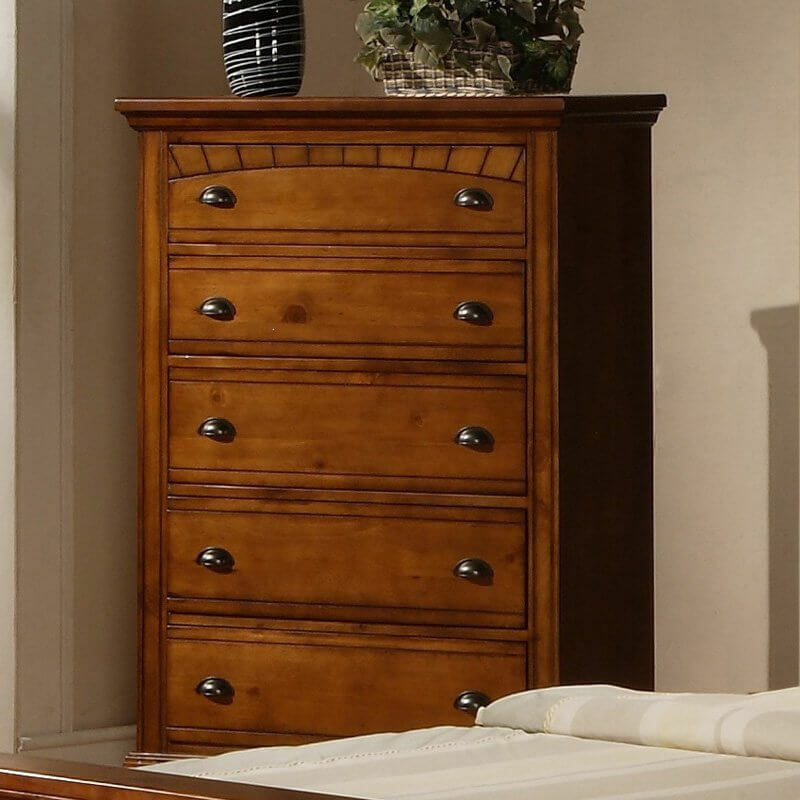 With eight drawers and a gorgeous natural finish, this dresser looks amazing in any bedroom. The tapered legs keep it from having a lot of visual weight and ensure that there is some architectural interest to the piece, while the bar pulls are an interesting and complementary gray tone. The drawers are all English dovetail, which sets the construction apart from other similar pieces. Being able to store more than just clothing in your dresser is useful, especially when storage space at your home is at a premium. 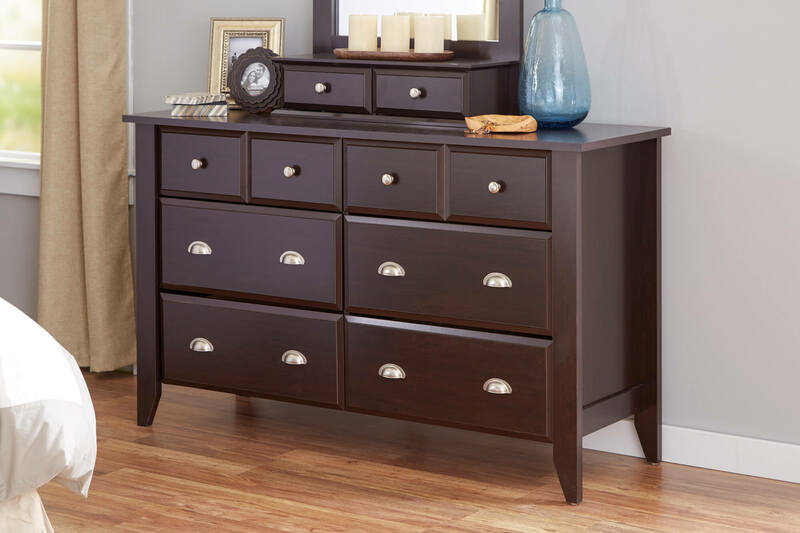 This large combo dresser commands attention in your room at 65 inches wide, and offers nine high quality drawers for storage. With the drawers operating on metal glides, you won’t ever have to worry about them catching or the glide chipping or becoming damaged. This ensures easy access at all times. In addition to the drawers, it has an interior shelf in the middle that is hidden by a pair of doors. This extra space is ideal for stashing perfume, books, or other items. The style is very casual, and the black handles and knobs make this piece stand out from other options that are available. You won’t have to worry about it tipping over, as its bulk and the included safety device ensure that your children are never in danger. It is solidly built and will last for decades. It is well packed during delivery. The top surface isn’t completely flat. Not everything you own stores well in a drawer, and having the option of stacking items in your dresser can make your life a lot easier. 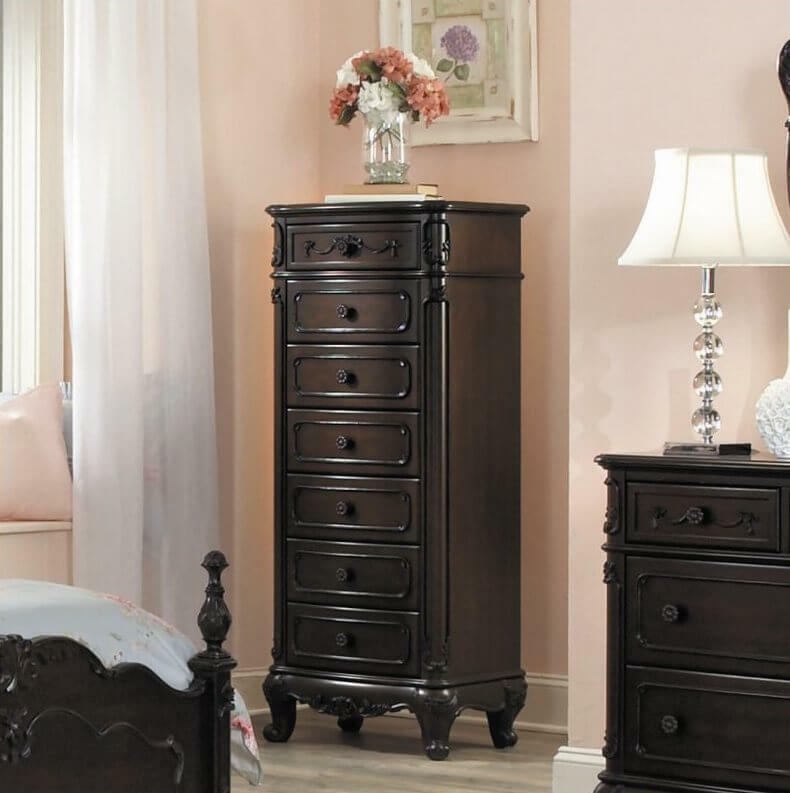 This dresser comes with four drawers on runners with soft-close technology, so you’ll never have to worry about waking anyone else up, as well as two cabinets that are perfect for stacking items. With a number of finishes to choose from, you can pick the one that looks best in your space. The classic lines and detail on the doors as well as the interesting feet keep this dresser from being boring. Made from engineered wood, this dresser is very sturdy and is built to last, no matter whose bedroom it is in. If you want a matching mirror, this piece comes with that option so you can complete your bedroom set without taking up any more space. Fine lines create a classic shape that appeals to many people. This light and airy option has a surprising amount of storage thanks to its eight drawers. With perfectly turned feet and a white finish, the overall appearance is a light and airy dresser instead of something heavy. The six large drawers are perfect for storing clothing, while the top two small drawers are ideal for storing something special. Since they are lined with felt on the bottom, you won’t have to worry about your items being damaged when the drawers are opened and closed. Although this is a farmhouse style dresser, it will look great in any bedroom, and will particularly complement airy curtains and a light color on the walls. Instructions for assembly are clear and easy to follow. It only sits 3.5 inches off the ground which is not high enough to vacuum under. When you need as much storage space as possible in a room and like to separate your clothing, this twelve-drawer dresser is the right choice. Although the drawers are smaller than on a dresser with fewer drawers, they are still large enough for you to be able to store items in them. In addition, because you won’t be able to store as much in each drawer, they will not become jammed and difficult to open and close. Made completely from oak, this is a solid dresser that will not break or wobble once it is placed in your room. It also comes with an optional mirror that installs on the wall, so you don’t have to worry about buying a separate mirror for your room. Full-extension drawers make it easy to access anything in the drawers. It is only available in one finish. Complete with five drawers so you can easily store anything that you need to, this dresser has classic lines but the knobs make it appear a little more modern. Both attractive and functional, it’s a solid piece that will work well in any bedroom, and because it is a vertical dresser, you can easily find space for it. Unlike horizontal dresses that often require a large wall to be set against, this option is great if you are short on space. While it is a commanding piece of furniture, it won’t overtake a room. Being able to buy it in a few different colors makes it even easier to match it to your décor and ensures that it becomes an integral part of your room. Safety matters, and this dresser comes with a tipover restraint so you don’t have to worry about your kids trying to climb on it and accidentally pulling it over on themselves. It is available in Sumptuous Cherry, Chocolate, Pure White, and Pure Black. The drawers are very difficult to use. Enjoy the beauty of dark stained wood with the strength and resiliency that comes from pine when you buy this gorgeous five-drawer dresser. The stain is perfectly applied so that you can still see the beautiful wood grain, and the dark hardware suits the color and shape of the dresser. While you can easily replace the knobs, they make the whole piece seem more like an antique due to their antique finish. At 56 inches tall, it’s large enough to hold all of your clothes, but not so big and heavy in appearance that it dominates the room. Its small feet give the dresser a little visual lift and keep the piece from sitting directly on the floor and appearing too heavy and unattractive. It’s a great choice for any bedroom, and can hold linens and towels in addition to clothes. It is difficult for one person to move. 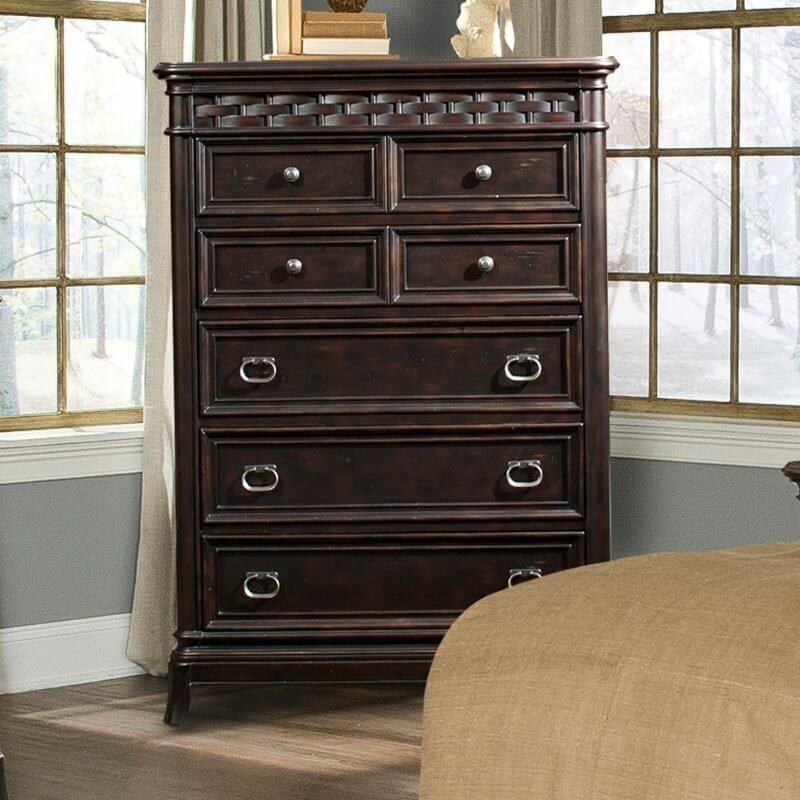 This ornate option has plenty of storage, a rich finish, and incredibly detailed hardware that will appeal to any man. The drawers are all well-constructed with dovetail joinery, ensuring that they will last and not warp or fall apart. The top drawers on this gentleman’s chest are lined in a fine felt that will keep jewelry, cuff-lines, watches, and other personal effects from sliding around or becoming damaged when in storage. The tapered feet add a touch of interest to the piece and keep it from looking too heavy. This dresser offers plenty of storage for any and all items. Different sizes of drawers give storage options. At almost 318 pounds, this piece is difficult to move, even with help. Elegance doesn’t have to be interesting, and this gentleman’s chest has a unique sliding door that will allow you access the top drawers. 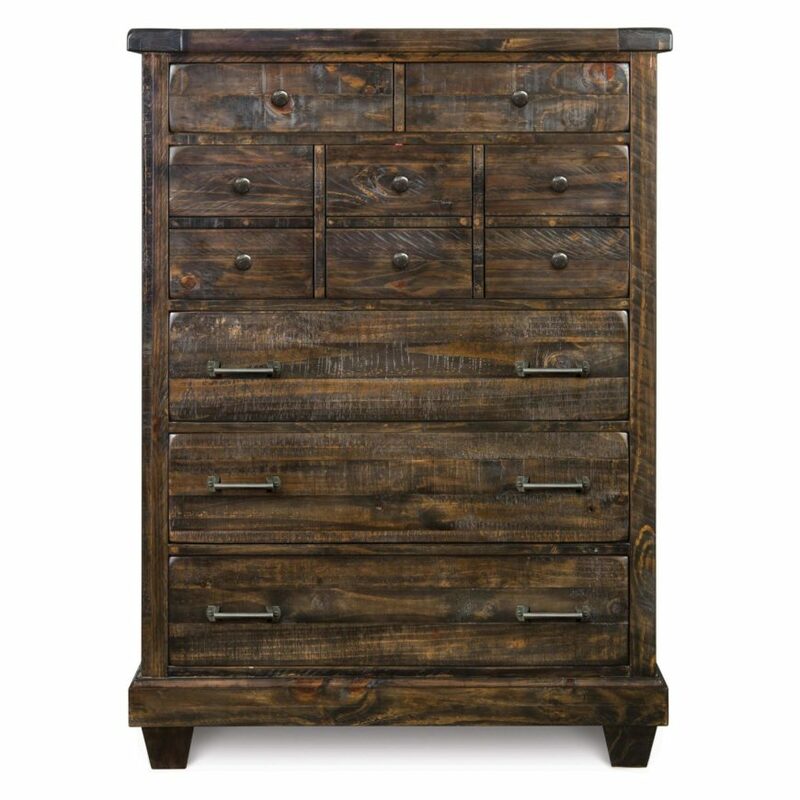 Because of the design, it will look perfectly at home with any farmhouse decor, but men of all kinds will appreciate the strong lines, interesting hardware, and size of the drawers. This is a great piece to add a rustic feel to your room, and the natural variation in the wood adds a lot of interest to the piece. It comes fully assembled so you don’t have to spend your afternoon or weekend trying to put it together. This dresser offers tons of storage space. With young kids, we have a fleet of cheap dressers. They get beat up so there’s no reason to spluge on an expensive dresser. However, that will change fairly soon. We recently had to toss out 2 essentially destroyed dressers (the drawers break) and will replace them. While we aren’t splurging on something ridiculously expensive, we’ll shoot for good quality that looks good and will last a long time. Like most furniture, you can buy cheap, mid-range or go high end. Here are examples from all price ranges. 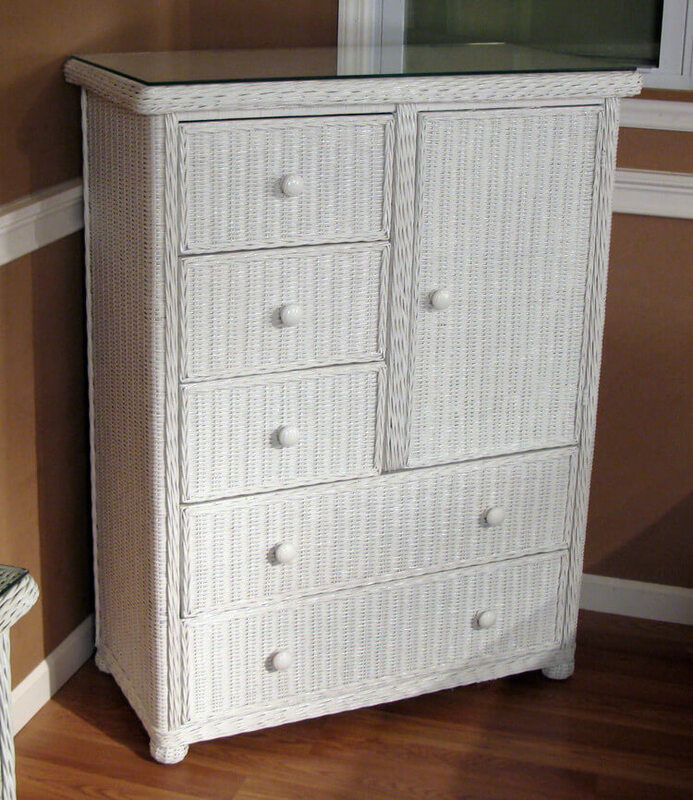 An inexpensive dresser, in my view is one that costs under $200. 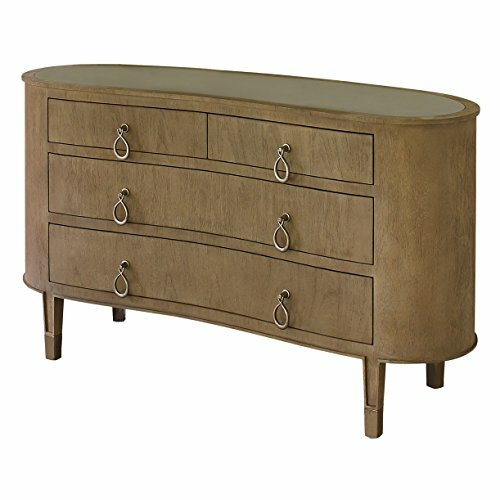 Mid-priced dressers, in my view, range from $200 to $1,000. In that price range you have many decent option for all types of sizes, materials and designs. Some people love luxury items (i.e. name brand) and are willing to shell out big bucks for it. 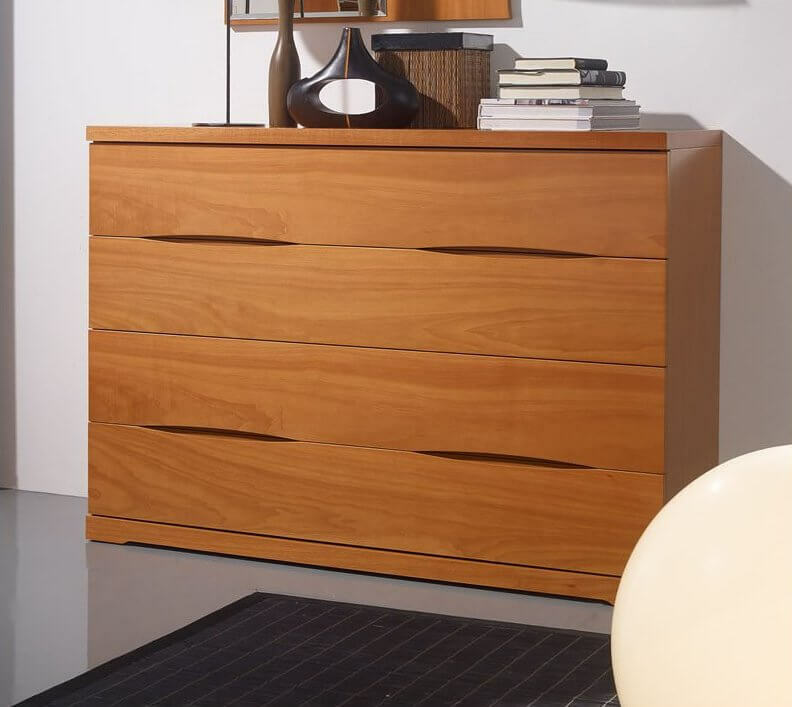 Dressers costing more than $1,000 are in the high-end range. Of course, there’s a big difference between a $1,300 price tag and $8,000 price tag. Arguably, $1,300 falls under a mid-price range… but that’s up for debate. The point is if you’re looking for luxury name brand dressers, they are out there for you. Of course, you can buy a dresser at a local furniture store that sells bedroom furniture. Despite the growth in online sales, many people still buy furniture in brick and mortar stores (including me). 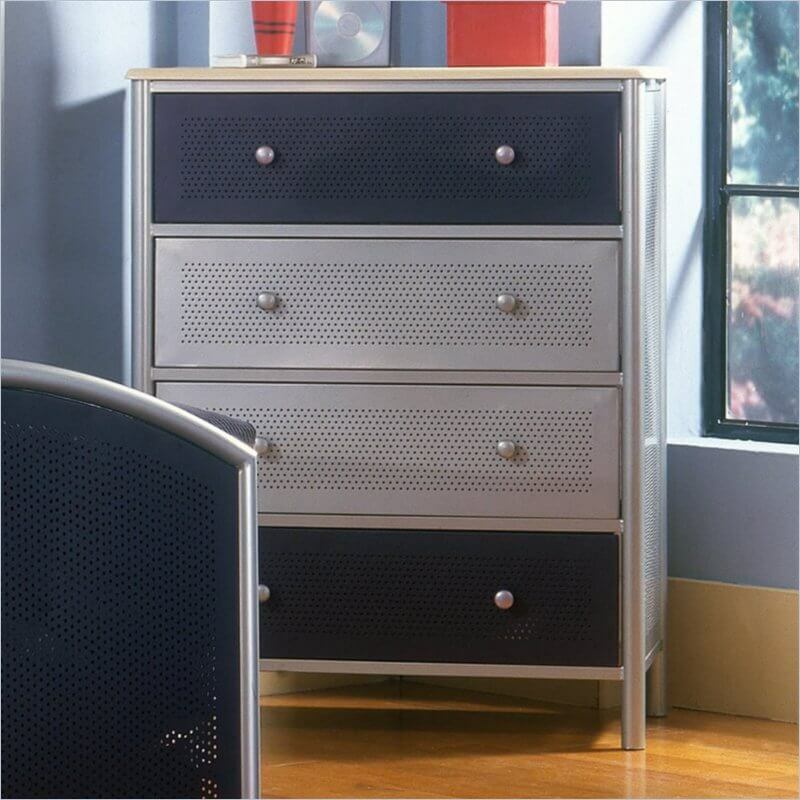 However, you do have many good options for buying a dresser or chest of drawers online. Here are some of the main options. Below is a chart listing the top chest of drawers brands by popularity (monthly search volume). FYI, we did not include IKEA dressers, which is one of the more popular dresser brands with 12,000 monthly searches in the US.